Tree Pittsburgh’s Refor­esta­tion pro­gram aims to replen­ish tree canopy in areas where nat­ur­al for­est regen­er­a­tion has been ham­pered by dis­tur­bances such as non-native inva­sive plant col­o­niza­tion. 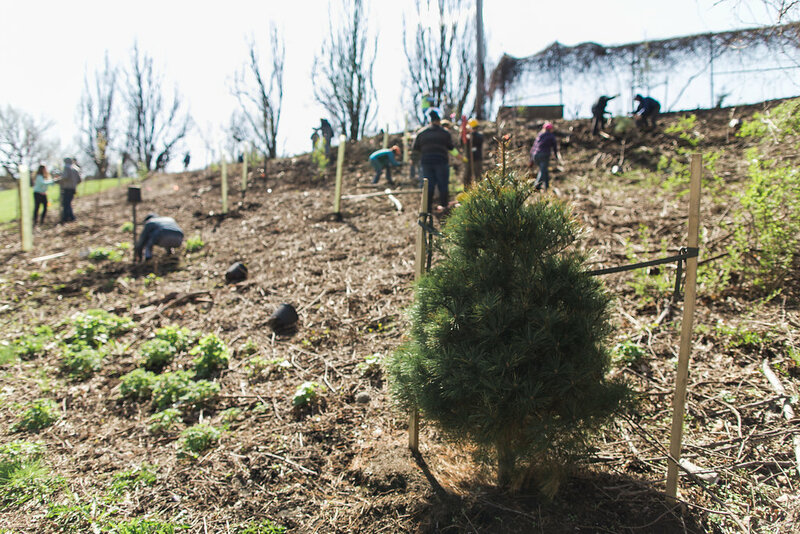 To com­plete these projects, Tree Pittsburgh’s staff works with vol­un­teer groups to bring inva­sive plants under con­trol, plant new trees, and then main­tain these sites until the trees have become estab­lished as a new for­est. To learn more about how your orga­ni­za­tion or group can part­ner with Tree Pitts­burgh to refor­est your com­mu­ni­ty, con­tact our Direc­tor of Tree Care and Refor­esta­tion Jake Milof­sky at jake@treepittsburgh.org.